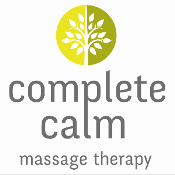 Since it’s National Massage Day today I thought I’d write a little about my treatments at Complete Calm Massage Therapy Harrogate. We begin with a thorough consultation. This takes around 15 minutes and means I get to know you and learn a bit of your history and what might be contributing to your aches and stress. You might be surprised when I ask you about hobbies, but it helps me to build a full picture of what’s going on in your life at the moment. And how best to adapt the treatment to help you out of pain or to relax. I’ll then leave the room to let you get ready and comfy on the table. If you need extra blankets, just ask, during relaxation your temperature can drop and leave you a touch chilly. 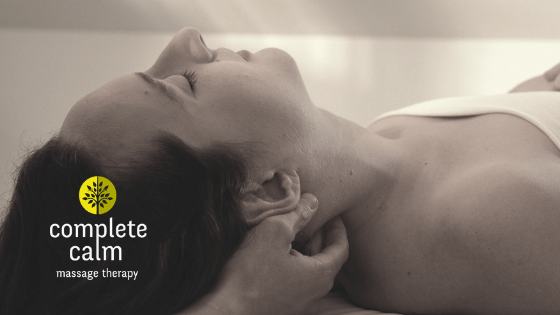 A massage may include myofascial work, gentle rocking, Trigger Points, deep tissue, hot stones and stretches. Some techniques are slow and flowing, others small and precise. You are in control of the pressure and you’ll never be in pain, apart from the good pain from treating Trigger Points. You may fall asleep and that’s fine. I don’t usually speak during the massage apart from if I need feedback, for example during Trigger Point therapy. So, you’re free to relax and snooze. Don’t apologise if your tummy gurgles, it’s a great sign that shows that your Rest and Digest system is getting a chance to work. So often when we’re stressed it’s temporarily put on hold and leads to sluggish digestion. Oh, and you get homework too! Nothing too arduous, just a couple of stretches or maybe a breathing exercise to extend the benefits of the treatment. I certainly don’t want to add to your To Do list, so I keep it easily achievable.